Can A CT Scan Give Me Cancer? No medical test or investigation is without risk. Imaging tests (e.g. X-rays and CT scans) increase the body’s exposure to ionizing radiation. Radiation, in turn, has the potential to cause cancer. A 2009 study indicated that 2 percent of all future cancer cases will likely come from previous CT exposure. It has to be emphasized that the risk of medically-induced cancer is low. In most cases, the benefit of diagnosing a medical problem far outweighs any risk posed by radiation. A necessary test is a safe test. Not all tests, however, are necessary and patients should have a frank discussion with their clinicians to determine whether an imaging test is warranted. Radiation is dangerous but it is also ubiquitous. Background radiation naturally exists everywhere in the environment. The risk of radiation from medical testing can be compared to the risk of skin cancer from sunlight exposure; it depends on the amount of exposure (intensity) and accumulation of exposure over a long time. It helps to think of radiation exposure by comparing it to a taximeter. Have you ever hailed a taxi cab in the city? That little box next to the driver calculates your fare by measuring the intensity of the service (amount of distance travelled) and the time over which it takes place. Sometimes the meter runs faster, sometimes it runs slower, but it all adds up. Radiation is the same. No amount is safe. Sometimes you are exposed to more, sometimes less, but no amount is safe and it all adds up over time. 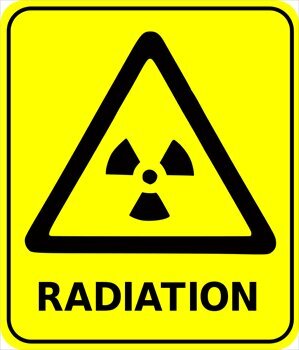 The amount of radiation accumulated over a lifetime contributes to cancer risk. This is why it is especially important to limit unnecessary imaging of children. The effective radiation dose (from diagnostic medical imaging procedures) is used to measure the future potential for long-term effects (biologic damage) and is measured in millisieverts(mSv). Different imaging tests will require different radiation doses. Over one year’s time, our dose from natural background radiation is approximately 3 mSv. Historically, doctors have acknowledged the existence of a 5% excess risk of death from cancer with a 1 Sv (1000 mSv) dose. The mean lethal dose of radiation is estimated at 3,500 to 4,000 mSv. This dose will kill 50% of the population within 60 days if untreated. The U.S. Department of Energy sets an occupational limit of up to 50 mSv per year in adult radiology workers but restricts pregnant workers to 5 mSv per year. There is a low risk of fetal malformation at levels less than 100 mSv but this risk rises sharply above the 500 mSv mark. Don’t routinely obtain an X-ray for low back pain or a sprained ankle. Don’t routinely undergo a CT scan for a headache or a concussion.